The FMCG Company wants to spark conversations and change mindsets as champions for the cause of gender equality across the region. 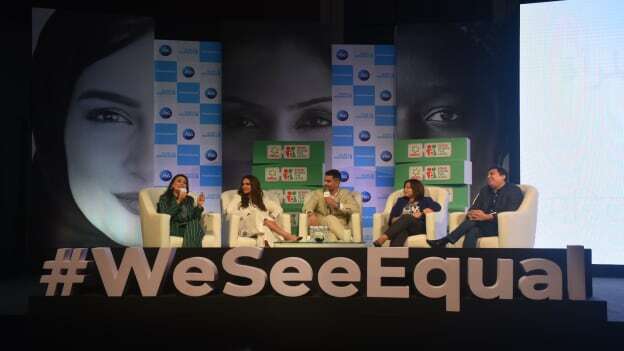 Procter & Gamble (P&G) announced a new commitment around some initiatives that will promote gender equality across the Indian Subcontinent, Middle East and Africa (IMEA) region. The declaration, which was made by P&G’s IMEA and APAC President, Magesvaran Suranjan during the company’s inaugural #WeSeeEqual Summit in partnership with UN Women in Mumbai on February 18, 2019, is part of the company’s citizenship focus on being a Force for Good and Force for Growth. “Gender equality is a core belief at P&G. Creating a world free of bias with equal representation and an equal voice for everyone is both the right thing to do and the right business choice,” explained Magesvaran Suranjan. The FMCG Company wants to spark conversations and change mindsets as champions for the cause of gender equality across the region. They are planning to leverage the full strengths of their business and operations, and their advertising voice to tackle gender bias and encourage women’s economic empowerment. Over the next three years, P&G aims to spend $100 million on deliberately working with Women-Owned Businesses in IMEA with a $30 million commitment to India. The organization will educate more than $23 million adolescent girls on puberty and hygiene across IMEA. In India, P&G has been working with young girls in various groups across the country to understand the needs in the areas of Health & Hygiene, Personality Development etc. According to P&G the company hires 50% women into management across the world, and an increasing proportion of women gets promoted into leadership roles into their next assignments at the same progression as men. This is consistent with P&G’s history in IMEA. P&G India hires 50% women into entry level management roles and lays special emphasis on their progression to the next assignments.